I don’t know about you, but I’m really digging the new Co.Design site. Find it here: fastcodesign.com. I call it “new” but I think it’s been active for awhile now. 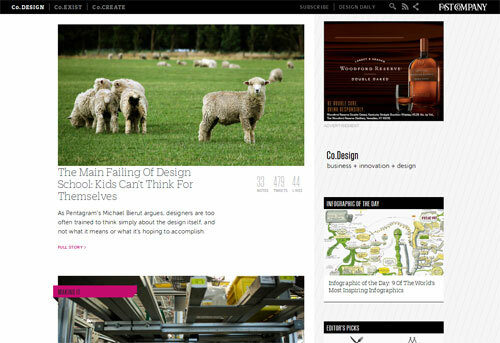 I like the typography; I like the images; I like the big main masthead (you’ll have to go to the site to see that). Check it out.